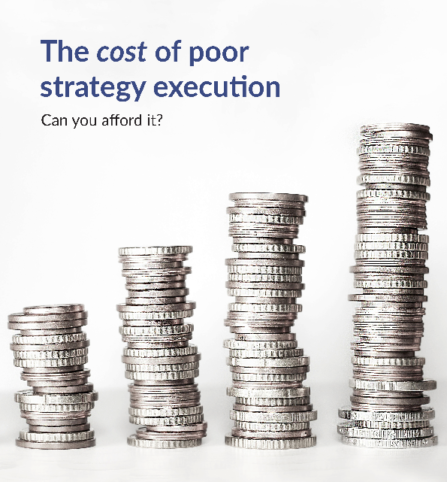 The Cost of Poor Strategy Execution – Can you afford it? I am often asked by clients what is the real cost of executing a strategy badly? In this short article, I will provide some highlights and lookouts on the implications of executing strategies poorly. Every business needs a plan or strategy whether you’re a global corporate or a £2m turnover single entity business. When we talk about strategy planning and execution, we are specifically referring to how a set of strategic objectives will be achieved. Strategy execution defines the overall approach and plans required to efficiently achieve the outcome. What then makes a good strategy execution plan versus a poor one? A good strategy execution plan should be logically coherent, easy to understand and as simple as possible; it traceably aligns all activity to the company vision and objectives whilst providing visibility, purpose and clarity to the relevant stakeholders involved in execution of their tasks and responsibilities. This high failure rate can come at a significant cost to an organisation such as employee morale, brand damage or ultimately the demise of the business. However, in less extreme cases the commercial and financial implications fall in to two areas. Failure to achieve budgeted top line revenue could have multiple impacts on an organisation. A shortfall or reduced top line revenue could result in restricted growth, cash flow issues, poor shareholder and employee confidence, long term impact to future business plans and credibility damage with banks and lending houses. Less cash in the business may also mean abandonment of other strategy planning which could have a deepening impact on business operations and future growth. Rationalisation and divestment can also be a consequence of missed or reducing revenues which can often take some time to recover from. Strategy execution plans that stall due to poor organisation comes at a cost. Trying to turn around or realigning strategies that are not being executed correctly will undoubtedly increase execution costs as businesses spend additional time and resources, either reconsidering or completely re-planning their approach. Without proper monitoring, most organisations will revert to throwing more resources at failing strategic activity plans, which often compounds the issues rather than solving them as in most cases, resources aren’t the problem, it’s the ill-conceived plans that is often at the root of the problem. In addition to the cost of failed strategies, the commercial impact is often compounded by the non-realisation of the intended strategy benefit. This additional hit can significantly increase the total cost to the business. There are many ways to avoid the above pitfalls such as detailed planning and alignment, strong communication methods, tracking and tooling as well as engaging with professional and experienced resources. If you would like to discuss your approach to strategy planning and execution, please contact Paul Fraine by emailing paul.fraine@lgbusinessadvisors.co.uk or by calling 07889 600811. Part 1 – What is your strategic reasoning for acquiring a business? Why you want to buy a business, where to search and what to look out for. a belief that, by acquiring, you will be able to generate a value significantly greater and faster than the alternative of continuing organic growth. to build the business in advance of selling it. For each of these, the key question is – “what would it cost and how long would it take to add these (the “extra” criteria that you have that means something to us) to our own business ourselves, organically?” The right Acquirer, for whom the Seller provides the most amount of value, may well be persuaded to share some of the value with the Seller and reflect that in the purchase price. 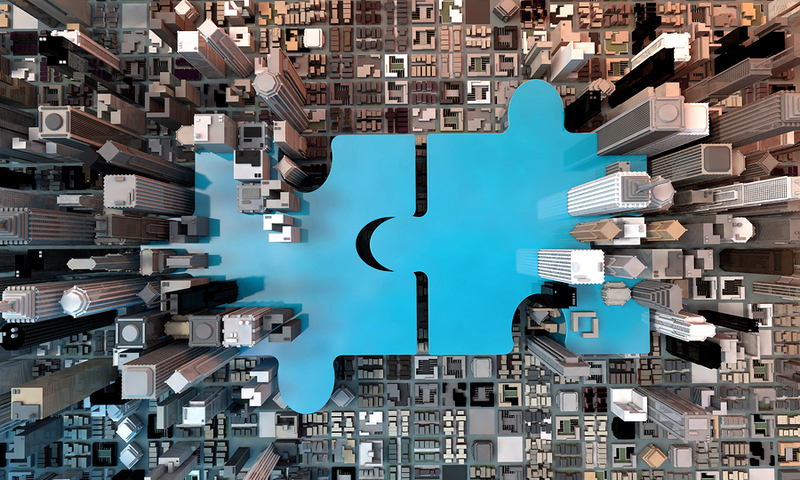 What LGBA/HCBA Acquisition Planning advisors can do to assist your business. Real life experience, strategic advice and tactical support. Next month I’ll share my top tips on searching for a new business to acquire. Please feel free to get in touch with me at peter.kroeger@lgbusinessadvisors.co.uk or on 07904 766230 if you’d like to find out more. In December 2018 Forbes Magazine placed the UK as number 1 in its list of Best Countries for Business. There is no doubt that the UK offers tremendous opportunities for businesses to be set up and to thrive. However the fact that this is so well recognised means that it is also probably the most competitive country on earth for businesses. You need to make sure that all aspects of your UK operation are run to the highest professional standards in order to succeed. The aim of this article is to give you some tips as to how to setup a company in the UK. Visa. If you do not already have the right to live and run a business here you will need a Tier 1 Entrepreneur Visa. For this you will need to invest a minimum of £200,000 in your new business and employ yourself and take on at least two members of staff in the first two years. Business Idea. You need to start with an idea of what product or service you want to sell. The first step is to think who might buy your product and why. You need a USP (Unique Selling Point). You must think very carefully about why anyone would buy from you. It may well be that your home country has products or skills that could be useful to businesses or people in the UK. Business Name and Registration. You will also need to choose a name for your business. You will probably want to choose something that stands out and perhaps describes the business you have in mind. In most cases you will be setting up a Limited Company. You will need to register that name with UK’s Companies House so you need to ensure that there is not already a company with your chosen name. UK Company registration details are in the public domain. You can look at the Companies House website for individual names or download a complete list for free here. Banking. You will need to set up a bank account for your business. Banks are keen to attract new business customers, but stringent money-laundering regulations mean they will need to satisfy themselves that your business is genuine. They will be even more rigorous if you are transferring money from outside the UK. 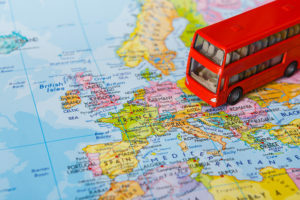 At least one director of your business will need to have their main residence in the UK. Finally. There are many things you have to do before you start trading here. It is unlikely that you will have the skills to do all of them yourself. In those areas where you do not have experience it sensible to seek professional advice from specialists who have the relevant expertise. United Kingdom Business Advisors (UKBA) is an excellent source of skills in all aspects of setting up and running a business.